Compiled and Written by Jacob Griffin. I will send a team of ferret-wielding Germans to invade your private property. This is my first FAQ, btw, so the info is scarce. Basically, it's a level list. Yes, there are lots of other codes, but I don't use them. So why should you? with the area that follows each particular mission. guideline. For example, a mission with the listing "Pt1: Deliv Pass - 2:00"
3 and 5. Both missions 4 and 5 go to the final mission, The President's Run. for a while. So, um, be careful out there. Or something. Thanks to Kao Megura for the disclaimer style. This FAQ was created and is owned by me, Jacob Griffin . 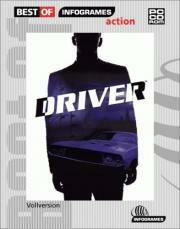 Driver is a registered trademark of GT Interactive Software.